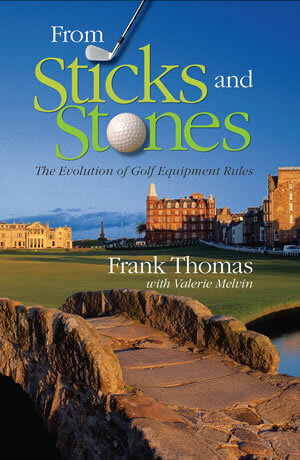 For more than a quarter century, Frank Thomas was the most influential man in America when it came to golf’s rules governing equipment. 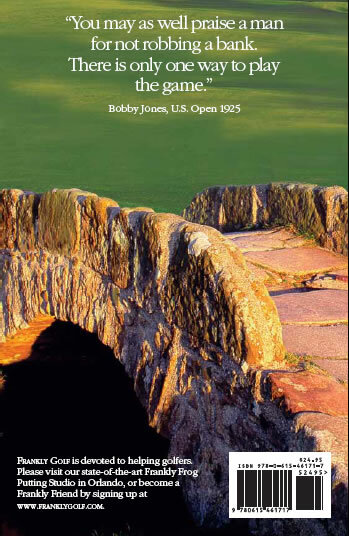 From his position as Technical Director of the United States Golf Association, he conducted or oversaw the testing of every technological advancement – real or merely claimed – in clubheads, shafts, grips, balls, and all the accessories in the game. In From Sticks and Stones Thomas wipes the cobwebs off the early history of equipment innovation and shows how golf’s ruling bodies reviewed all new developments and acted to protect the challenge and fairness of the game. 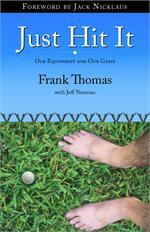 He punctures the myths that have grown up around some prohibitions like the Schenectady putter, traces the almost comical tinkering with the size of the ball, and examines the justifications and rationalizations surrounding rules aimed at reining in the performance of elite golfers while hamstringing the vast majority who can use the help. From Sticks and Stones is a lively survey, a valuable reference, and an essential addition to the library of every golf enthusiast. 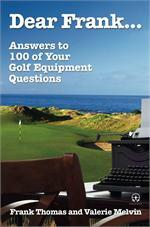 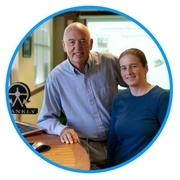 Frank’s book “Dear Frank…” is an enjoyable, informative collection of 100 question and answers about golf equipment, compiled from Thomas’s popular on-line column, which receives tens of thousands of visits every week.